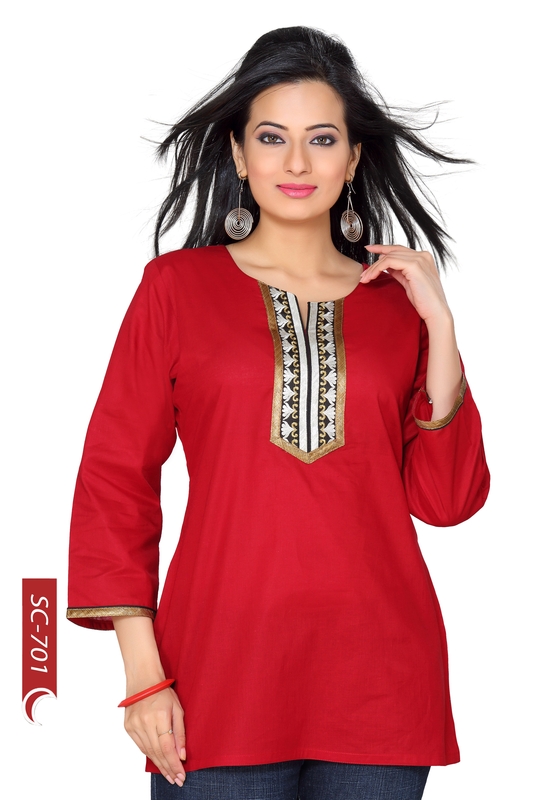 You desire for simplicity with elegance gets gratified here, when Snehal Creations presents to you this gorgeous red hot short tunic top tailored in fine quality cotton fabric. 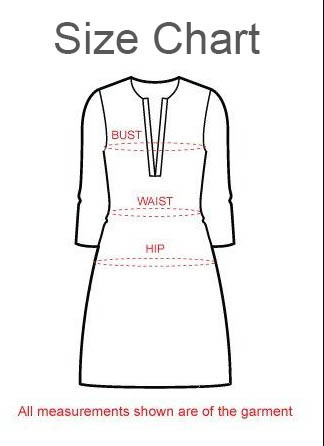 The sleeves of the tunic are full length and complete the understated look that the piece carries. A simple round neck of the kurti looks befitting with a golden border gala patti. A similar golden colour of the taping looks well and provides adequate finishing to this piece of Indian Designer clothing. Speaking fashion becomes easy with this one!